Virtual Edit is semi-professional software video editing package aimed at ambitious content creators to video novices, who want to produce material with a slick and professional look, on a limited budget. Virtual Edit has been written by experts with experience in the Television and Broadcasting industries, which has been encapsulated in this simple software package. 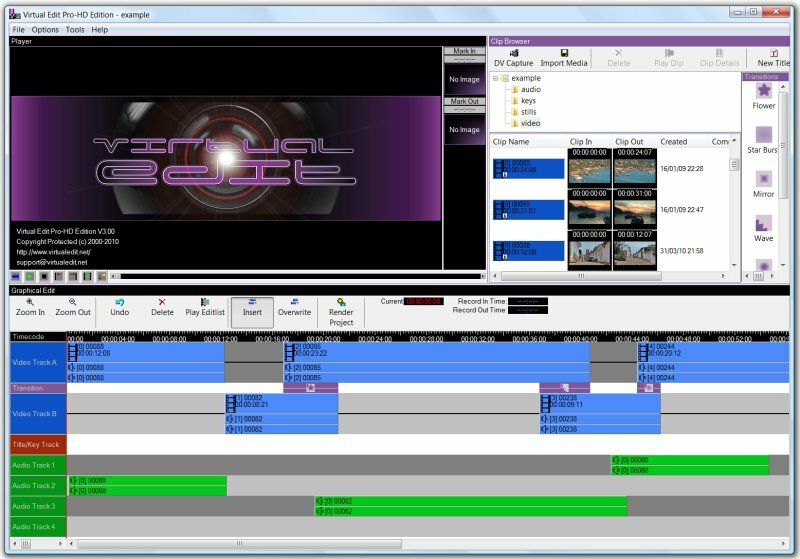 Virtual Edit is ideal for creating a video for YouTube or MySpace. ...... Also if you have a DV camera with a DV-out, you can capture video straight into a Virtual Edit Project and start creating. With Virtual Edit you can edit your holiday video footage, your wedding video or your university media production project. You can then capture your imagination by adding video effects, music and titles to enhance your content creation. Virtual Edit is ideal for creating a video for your You Tube, MySpace, Hi5 or similar Internet profile. Why not try our Free Evaluation Version of Virtual Edit with NO strings attached, NO software expiry time, minimal disabled features and NO spam to your mail box! Simply capture your video footage onto your PC, import it into Virtual Edit video editor and start creating! Qweas is providing links to Virtual Edit 3.12 as a courtesy, and makes no representations regarding Virtual Edit or any other applications or any information related thereto. Any questions, complaints or claims regarding this application Virtual Edit 3.12 must be directed to the appropriate software vendor. You may click the publisher link of Virtual Edit on the top of this page to get more details about the vendor.